Attending a festival in Bhutan is one of the best opportunity to witness how Bhutan is deeply steeped into his heritage. At the event, you can observe mask dancers performed energetic dance dramas in colorful and stylized costumes. It is also an opportunity to mix and meet with Bhutanese. They are coming from all over the country to assist to these festivals as it has a particular significance for them. Religious festivals in Bhutan are known as tshechus, and are a mean for local communities to come together to celebrate, socialise and pray. 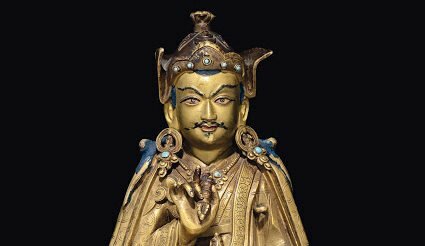 A tshechu celebrates the great deeds that were performed by the religious saint and teacher, Padmasambhava also known as Guru Rimpoche. (an 8th-century Indian Buddhist master, who brought Tantric Buddhism to Bhutan and other Himalayan region) Tshechus are held on the tenth day of a lunar month. The exact month depends on the location. Every valley has its own tshechu, usually with some identifying traits. These festivals reinforce the social life of the community and offer opportunities for making or renewing friendships, having picnics and drinking, or trading. The spectacular dances that form these Tshechus are known as cham. The subjugation of evil and the purification and protection from demonic spirits are important themes in the tsechu and dances. Dances with these themes are usually interwoven with those which are morally instructive or didactic and those that proclaim the victory of Buddhism and the glory of Padmasambhava. Bhutanese believe witnessing mask dances as a blessing and as an essential part to gain enlightenment (Nirvana). 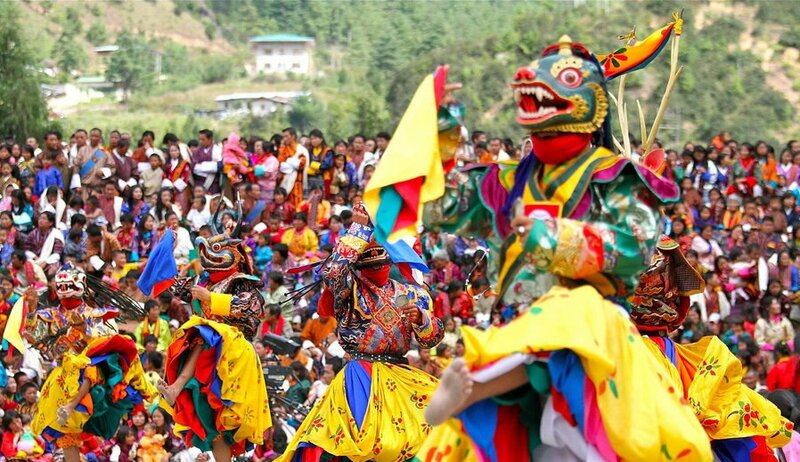 Festivals are a pillar of the Bhutanese society. They help passing on stories and legends from one generation to another. They also help preserving the ancient lore and art of mask-making. But most of all, festivals contribute to Gross National Happiness as the festival are a unifying and bonding force. Festivals are also a special occasion where families, friends and community share meals of red rice, spicy Pork, Ema Datshi and Momos (pork dumplings) whilst drinking the heady traditional rice wine known as Ara. are some of the most vibrant and unique festival of the world. We offer a selections of tours to covers our favorites and the most popular, you can browse our selections here. Any of these can be incorporated into a tailor-made itinerary, let us know which one you are interested in.